. . .nuggets, tickles, or even pinpricks. Each 100 Word Story is its own kind of special. 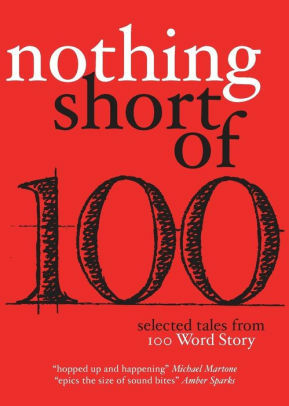 NOTHING SHORT OF presents the best of 100WordStory.org, the leader in short-short fiction and a popular go-to for great reading. 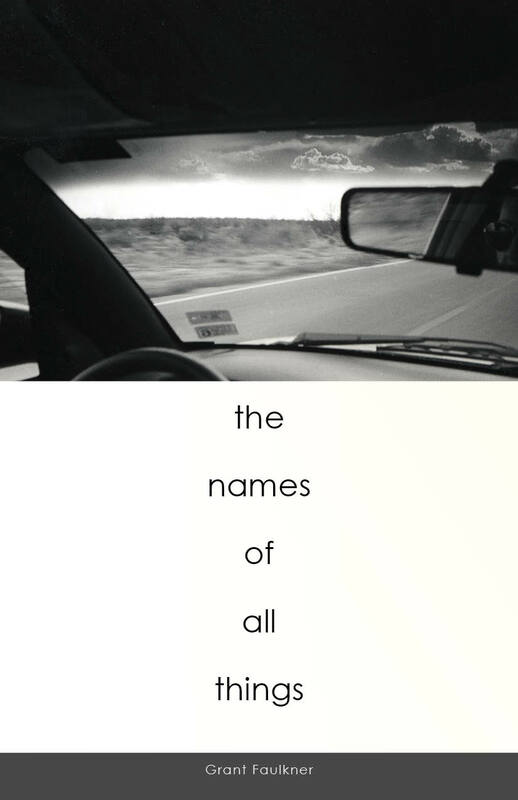 In these very short stories, every word, every detail, every moment matters. And the things left out, the spaces around the stories, are just as intense. The ContributorsRoxanne Barber, Roberta Beary, Digby Beaumont, Karen Benke, Ariel Berry, Emma Bogdonoff, Maggie Bohara, Jean-Luc Bouchard, Heather Bourbeau, James Braziel, Gerri Brightwell, Dan Campbell, Kayleb Rae Candrilli, Kate Hill Cantrill, Maud Casey, Brian Castleberry, Kevin Catalano, Ashley Chantler, Lina Chern, Jane Ciabattari, Stephen Cicirelli, Shara Concepción, Doug Cornett, Cherie Hunter Day, Jacques Debrot, Lorrene Desbien, Tsering Wangmo Dhompa, Joe Dornich, Jacqueline Doyle, Andrew O. Dugas, Misty Ellingburg, Sherrie Flick, Rachel Fogarty-Oleson, Kendra Fortmeyer, Thaisa Frank, Sarah Freligh, Jeff Friedman, Molly Fuller, Molly Giles, Barbara Goldberg, Manuel Gonzales, Ilan Greenberg, Robert Gregory, Stephen D. Gutierrez, Jennifer Handley, Chad Hanson, Tupelo Hassman, Eldon Hauck, Jeremy Hawkins, Emily Haymans, Elizabeth Hazen, Tom Hazuka, Kyle Hemmings, Melanie Taylor Herrera, Dane Holweger, Gail Hosking, Ulrica Hume, M.J. Iuppa, Royce Jeffrey, Ingrid Jendrzejewski, Simon Jimenez, Alyssa Jordan, Lee Romer Kaplan, Lee L. Krecklow, Leonard Kress, Amy Lafferty, Steven Levery, Colin Lubner, Jason Marak, Jackie Davis Martin, Jayne Martin, Ruth Martini, Tara Lynn Masih, James McCready, Josh McCuen, Jane McDermott, Corey Mesler, Michael Mira, Kona Morris, Kermit Moyer, Cornelia Nixon, Levi Andrew Noe, Dzvinia Orlowsky, Fred Osuna, Pamela Painter, Jason Peck, Oren Peleg, Jonathan Penner, Adrienne Pilon, Maria Pinto, Meg Pokrass, Eric Prochaska, Peg Alford Pursell, JC Reilly, Ethel Rohan, Lisa Rubenson, Cathy Safiran, Robert Scotellaro, Robert Shapard, Kevin Sharp, Marc J. Sheehan, Tonya Shenandoah, Jon Sindell, Myra Sklarew, Janice D. Soderling, Joshua Michael Stewart, Nancy Stohlman, Paul Strohm, Elizabeth Swann, Aaron Teel, Becky Tuch, Meg Tuite, David Joez Villaverde, Connor Walsh, Barret Warner, Courtney Watson, and Guinotte Wise. 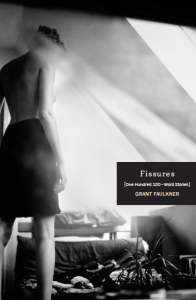 The EditorsGrant Faulkner is the executive director of National Novel Writing Month (NaNoWriMo) and the co-founder of 100 Word Story. His essays on creative writing have appeared in The New York Times, Poets & Writers, and Writer’s Digest, and his stories have appeared in dozens of literary journals, including The Southwest Review, The Los Angeles Review, Five Points, and Tin House online. 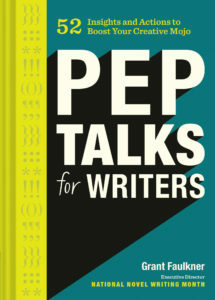 He recently published a collection of 100-word stories, Fissures, and a book of essays on creativity, Pep Talks for Writers: 52 Insights and Prompts to Boost Your Creative Mojo. Lynn Mundell is the co-founder of 100 Word Story. She has worked as a professional writer and editor for 30 years. Her poetry, creative nonfiction, and short stories have appeared in literary journals including The Sun, Superstition Review, Eclectica, Tin House online, Portland Review, and Five Points, and have been published in the U.S., the U.K., New Zealand, and Australia. She is most recently a contributor to the W.W. Norton anthology New Microfiction: Exceptionally Short Stories. Beret Olsen is a writer, photographer, and the photo editor for 100 Word Story. Her art, essays, and fiction have been published in a variety of places including: First Class Lit, Flash: The International Short-Short Story Magazine, and her blog, Bad Parenting 101. A longtime educator, Beret also writes grants to help low-income, first-generation college students get into, through, and beyond college.